 Erika Record Baking Equipment would like to wish you and your family a very Happy Thanksgiving! We will have modified office hours beginning on Wednesday, November 21, 2018, and will resume normal operations on Monday, November 26, 2018. See below for our complete schedule. Our office will be closing early in advance of the holiday. All parts and spares orders received after 12:00 pm EST will be shipped on Monday, November 26, 2018. Our administrative and sales office will be closing at 3:00 pm EST. 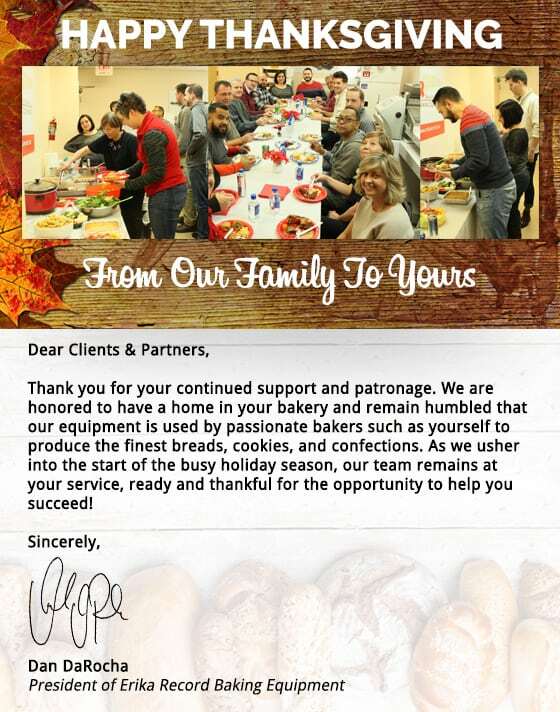 Our office will be closed in observance of Thanksgiving. Our office will re-open at 8:00 am EST and resume normal operations. We look forward to serving all your needs throughout the upcoming Christmas holiday season!